All things need a name. 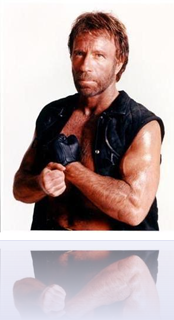 We’ve tossed around a bunch of names for the framework of tools we’ve been working on, but one we kept coming back to was Chuck Norris. Why did we choose Chuck Norris? Well Chuck Norris sort of chose us. Everything we talked about, the name kept drawing us closer to it. We couldn’t escape Chuck Norris, no matter how hard we tried. So we gave in. People ask why we choose such violent names for each tool of our framework? At first it was about whipping your code into shape, but after awhile the naming became, “How can we relate this to Chuck Norris?” People also ask why we uppercase the last letter of each name. Well, that’s more about making you ask questions…but there are a few reasons for it. So what are you waiting for? Join the Google group today, download and play with the tools.